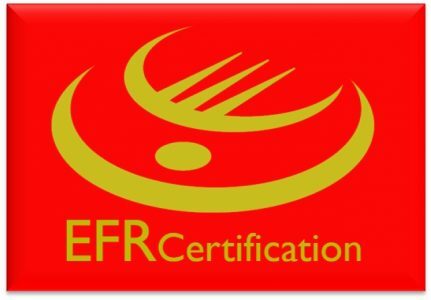 EFR Certification are committed to provide confidence and credible value added serices. This course fully covers the ISO 9001:2015 requirements and the requirements of IATF 16949:2016. Topics include audit systems, product audit, manufacturing process audit, core tools, the auditing process and audit instruments; the documentation process, conducting an audit, writing the audit report, and taking corrective action. Auditing case studies to develop skills for identifying nonconformities will be used. Techniques for leading audit teams will also be discussed. Understand the application of Quality Management Principles in the context of IATF 16949:2016. Relate the quality management system and Automotive Core Tools (ACT) to the organizational products, including services, and operational processes. Understand the application of the principles, procedures and techniques of Automotive PROCESS APPROACHES (APA) auditing. Understand the application of the customer specific requirements (CSR), applicable regulations, and other considerations that are relevant to the management system, and the conduct of the audit. Establish, plan and task the activities of an audit team. Communicate effectively with the auditee and audit client. Organize and direct audit team members. Prevent and resolve conflict with the auditee and/or within the audit team. Prepare and complete the audit report. This training is designed for Management Representatives, IATF 16949:2016 Implementation Teams, Internal Auditors and others who would like to develop judgment and decision making in IATF 16949:2016 and learn the auditing process for first, and second party auditors.